Whether you work from home or not, chances are you have an office that needs to be organized. What better time to clean out your desk and get organized than right now? 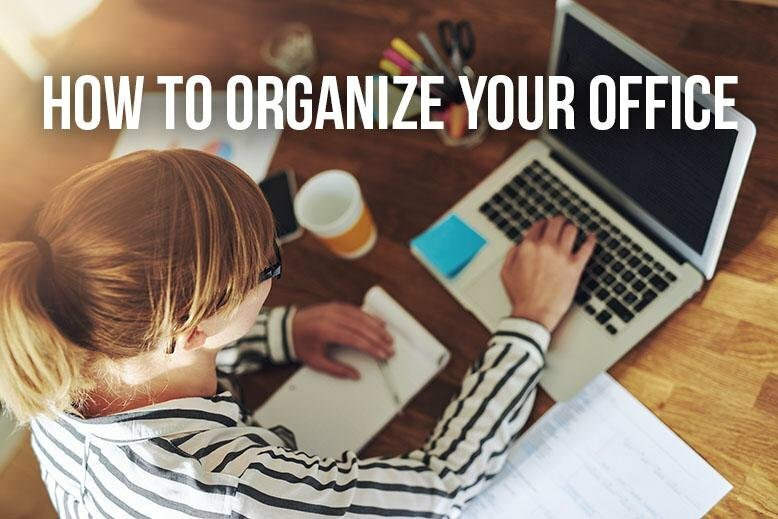 If you’re feeling overwhelmed with the job of organizing your office or you didn’t know you wanted to clean up until right now, I’ve listed some ideas on how to get organized below. No matter how daunting, get rid of anything you don’t need! This includes your paperwork. It may take you quite a bit of time to go through all your files but do it. You won’t be truly organized until you’ve gotten rid of papers you don’t need. You’ll need a place for mail and important documents, like this metal file holder. Trash and junk mail need to be tossed so have a recycling bin and a trash can handy. You’ll also need a hook for your coat, bag, umbrella, etc. If you have space to hang something like this metal hook bar you won’t ever run out of space for your things. This is a tricky one because every person has a different preference for how they like their papers organized. Personally, I like a color-coded system where each color represents a different category - Financial, Medical, Personal, Insurance, House, etc. Experiment with how you like things filed until you find something that works for you! A nice filing cabinet will help you keep things in order and easily accessed. Get drawer dividers and containers for the drawers of your desk. Keep all your things separated and in easily accessible containers. Paper clips, staples, post-it notes, pens, pencils, etc. should be kept in their own containers. It may seem excessive, but remember how annoying it is to dig through a drawer full of junk until you find what you need? At the end of each day, clean off your desk and sort everything into its proper space. That way you’ll be able to keep your desk cleared off and organized long term. How have you organized your desk? Have you figured out a system that works for you? Let us know!